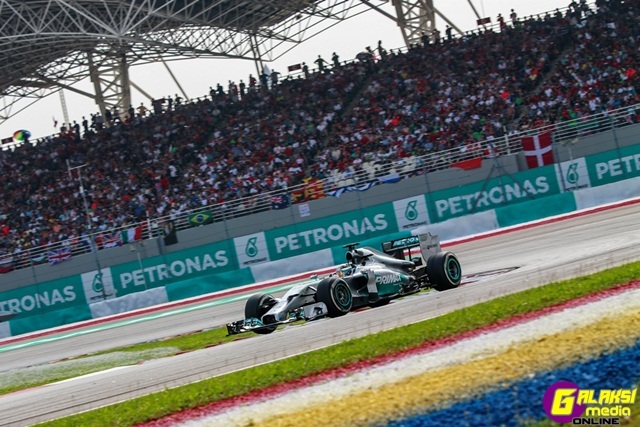 SEPANG, 19 September 2016 – Racing actions for the 18th edition of the Formula 1 Petronas Malaysia Grand Prix at the Sepang International Circuit (SIC) has an unprecedented early start on Thursday, September 29. Drivers from all four support races will be taking the track for their first free practice session and their first feel of the newly-laid track. Local fans will be thrilled as they get to watch young Malaysian heroes – Nabil Jeffri and Akash Nandy live in action early as the dynamic duo continue to battle in the GP2 and GP3 racing series respectively. Adding further excitement to the 2016 Formula 1 Petronas Malaysia Grand Prix, will be the Porsche Carrera Cup Asia Series and the TCR International Series; creating history for the 18th edition as having the most number of support races since F1 came to Malaysian shores in 1999. Both Nabil, 23, and 19-year old Akash are happy to be in action early in the week as they have been looking forward to their home race in Sepang since their debut in their respective series early this year. “I have competed in nine race weekends before this and I am feeling confident for the race in Sepang. Even though the team doesn’t have data in Sepang, but I have raced here many times before and I have always felt good about competing on this track. I have been working hard on my fitness training to ensure that I am completely fit for the Sepang race,” said Nabil. Competing under the banner of Arden International, Nabil is currently placed in 21st place with two championship points. Akash, who compete for Jenzer Motorsport, hopes that Malaysian fans would come in droves to the circuit as early as Thursday to support him. “I’m really excited and happy to get the chance to race at my home circuit, as it being my favourite Circuit. There’s nothing like being able to come home and represent my country at our home track and I would do the best I can. I do hope that I get to see our fellow Malaysian fans starting Thursday,” said Akash. Qualifying round for both Nabil and Akash will be on Friday and they will compete for the opening Race 1 on Saturday with the GP2 series slotted for 31 laps and the GP3 series for 19 laps around the 5,543-meter track. Race 2 will be on Sunday with the GP2 series slotted for a sprint race of 22 laps and the GP3 series for 14 hot laps.